SANDRA Brien was on track to compete in the 2014 Agnes Water Triathlon when she started having what doctors thought were "asthma and panic attacks". "The more I was doing the more unfit I was getting," she recalls. "I had to say to my husband that I couldn't do the triathlon because it felt like my heart was really struggling." Soon doctors realised that the sudden shortness of breath and crippling chest pains in the fit and fired up mum of two was multiple myeloma (a cancer of the blood). Before she even had a chance to let the diagnosis sink in, her doctor told her there was a good chance she would be dead in two weeks because the cancer resulted in large deposits of an abnormal protein lodging in the heart, making it stiff and unable to do its job properly. "On December 12, 2014, I was given the news that, without treatment, I had two weeks to live," the now 53-year-old said. "They said you need to go home and get your affairs in order. "I went home and told my kids, went to the solicitors and the bank. "They also said the chemotherapy was designed to kill the proteins, but because the proteins were in my blood, if my heart stopped they couldn't do anything about it. "They said 'You might have a week or you might see Christmas'. "I said 'What the heck. It's grim either way so let's go for it (chemotherapy)'." 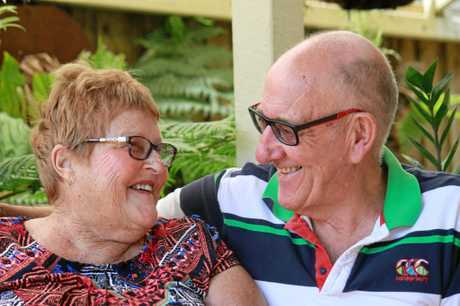 Ms Brien's roll of the dice paid dividends and after many months of gruelling treatment in Brisbane - including stem cell transplants - she knew there was light at the end of the tunnel. While she is in recovery mode, Ms Brien will never compete in the Agnes Water Triathlon because the damage to her heart cannot be reversed. But she has recently returned to the gym where she does "gentle" workouts to regain her strength. "It's been two years and four months since the diagnosis and I'm proud to say I'm still here," she said. "At the moment, I'm just trying to build myself back up. "I've been for a couple of bike rides but I was absolutely stuffed. "I'm disappointed that I won't be able to do the triathlon but my husband (Paul) is going to do it for me." Ms Brien said she was pragmatic about the future. "You think you're going reach 100, but you can die at any time so you just have to live life to the fullest," she said. "If a doctor says there's 30% chance I will die I see it as a 70% chance that I will live." CANCER is our region's biggest killer. ARM Newsdesk can reveal that cancer was behind 19.5% of the 1327 deaths in Gladstone between 2010 and 2014. Of the 260 people who died from cancer, the 2016 Social Health Atlas of Australia shows lung cancer claimed 84 lives, colorectal cancer killed 16 residents and breast cancer ended the lives of 21 women in the five years. With 105 deaths, external causes were our region's second biggest killer. These included 24 people dying in traffic accidents and 35 lives lost to suicide or self-harm. Circulatory system diseases were our region's third biggest killers, with 102 lives lost. Heart disease killed 65 residents and strokes cost 14 people their lives. Respiratory diseases were our fourth biggest killers, with 30 deaths over the five years. Gladstone residents were least likely to die of endocrine, nutritional and metabolic diseases, with only 18 lives lost to these between 2010 and 2014. The Cancer Council Queensland says 13% of Gladstone cancer deaths can be prevented and cancer patients in regional and disadvantaged areas suffered "significantly worse" outcomes than urban patients. "Possible reasons for these disparities include reduced access to health care and diagnostic or screening services as well as differences in cancer risk factors such as tobacco smoking, diet, alcohol consumption and physical activity," CCQ executive manager Katie Clift said. "Those who live outside the reach of major health centres are more likely to die within five years of their cancer diagnosis. 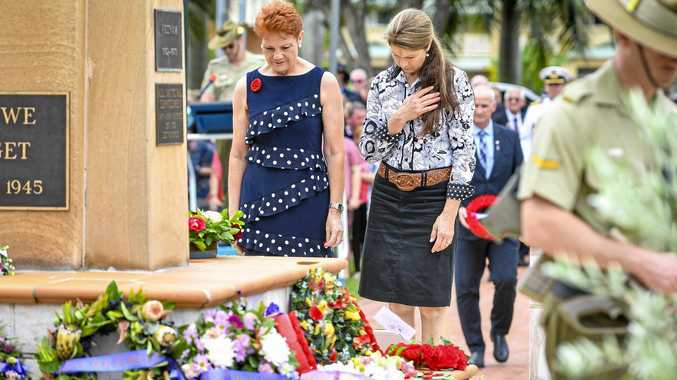 "More research is needed to identify the reasons for the disparities and to develop targeted strategies that help close the gapfor regional and remote Queenslanders. "Additional public investments in regionally specific research and translational initiatives are vital to improving healthcare for regional Queenslanders. "It's crucial that all cancer patients, no matter where they live, have the best possible prospects of detecting cancer early and surviving their diagnosis." Regional residents will benefit from an upgrade of CCQ's Herston lodge, which provides accommodation for people travelling to Brisbane for cancer treatment. Breast Cancer Network Australia chief Christine Nolan said her organisation was investigating the gaps in cancer services and care across regional Australia. "The experience of being diagnosed with breast cancer can differ greatly depending on where you live - and that shouldn't be the case," Ms Nolan said. "As a society we have come a long way in breast cancer research, treatment and support services but there is still more to be done. "We know there are considerable variations across the country in terms of what services and treatment people are able to access." HEART disease and cancers are among the key reasons why more Gladstone men die than women and why our male residents don't live as long as females. Analysis of five years of death data for Gladstone reveals 774 men died during 2010-2014 compared to 553 women. Males, on average, died at 72 years old while women generally reached 83. 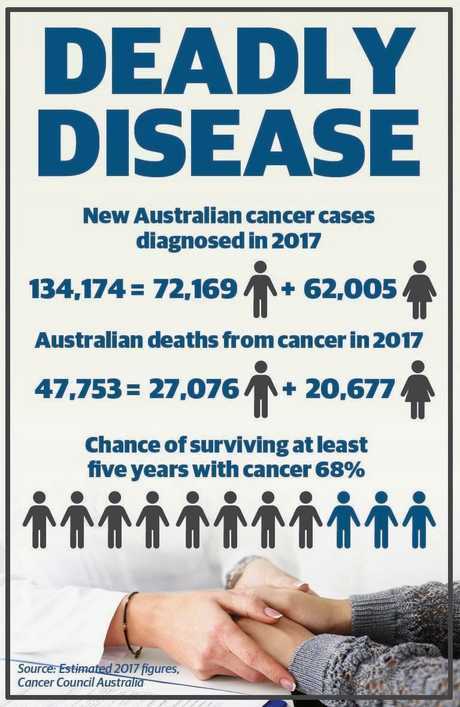 PA Research Foundation's Dr Sandro Porceddu said about one in three men would be diagnosed with a cancer by the time they celebrate their 75th birthday. Dr Porceddu said with men smoking and drinking more and experiencing obesity at higher rates than women, the easiest way to reduce the life expectancy gap was as simple as changing lifestyle choices. "Men need to get serious about managing their cancer risk because their risk is higher than women and their life expectancy is shorter," the radiation oncologist said. 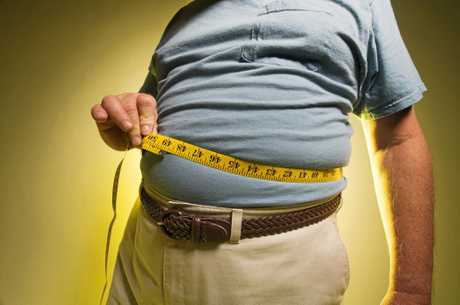 "Men need to reduce their smoking rates, aim for an ideal body weight and reduce their alcohol intake." As men are less likely to go to their GP than women, the PA Research Foundation is urging employers to give their male workers an afternoon off to have their health assessed. "The idea here is that there are risk factors that are preventable, men are more likely to be impacted by those risk factors but they are reluctant to go to their GP," Dr Porceddu said. "It's the inherent issue of maleness. Men are generally workers who find it difficult to find time and who have the 'she'll be right attitude' approach to their health. "We want to close the gap and most cancers are preventable by changing lifestyle factors and most cancers are curable if detected early, but the problem is getting men to go to see their GP." PRIVATE health patients across our region are expected to benefit from a new palliative care program being tested in Brisbane. Insurance giant Bupa has joined forces with St Vincent's Health Australia to offer in-home intensive specialist medical services for people who have chronic illnesses or are in the last few days of their lives. As well as practitioner visits, a nurse can stay with the patient and their family overnight to ensure the patient remains comfortable at all times. If the two-year trial is successful, Bupa says it will "explore" opportunities to extend the service to customers in regional centres. This means more of our region's residents will have the option of dying at home as their private hospital supports them and their families and carers though home visits from doctors, specialist nurses, occupational therapists, physiotherapists and counsellors. If it is rolled out here, the program would also mean private palliative care patients could get direct access to a hospital bed instead of having to first present at an emergency department. Ovarian cancer patient Mary Lou Houston said the in-home palliative care support was keeping her healthier and happier than she would be if she was hospitalised. The 66-year-old mother and grandmother was given a five-year life expectancy in 2007. Her body is finally caving in to the impacts of ongoing treatments, including irreversible damage to her kidneys and heart. Mrs Houston spent 16 weeks in hospital last year. "While we were in hospital my readings for my heart and kidneys weren't flash hot," she said. "They asked me how I would feel if they called in the palliative care team. "They said the team would help me a lot more than being in hospital." Mrs Houston said she felt her physical and psychological well-being were much stronger thanks to the in-home support. .
She said it also meant and her husband Dennis was better able to care for her. "The nurse and doctor come in and ask me how I'm going, they're always caring," she said. "It's easier on me, it's easier on Dennis. "It has helped me stay out of hospital," she said. St Vincent's Private Hospital Brisbane chief Cheryle Royle said it made sense to offer at-home palliative care support was because it was cheaper than hospital admissions and much better for patients to be in their own surroundings.